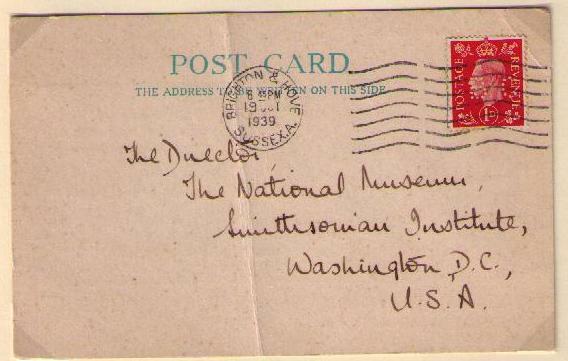 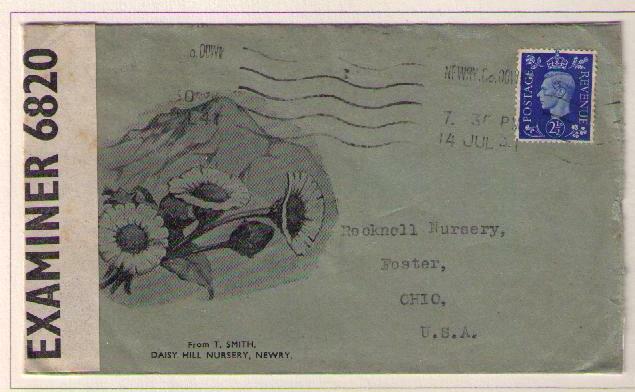 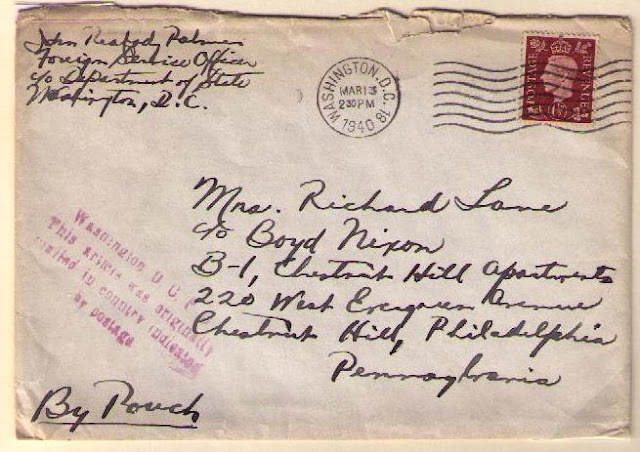 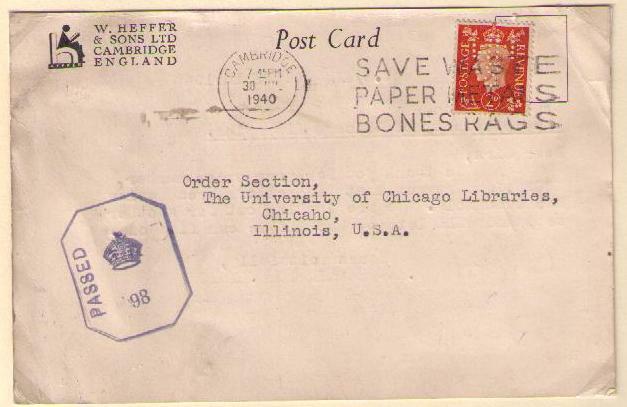 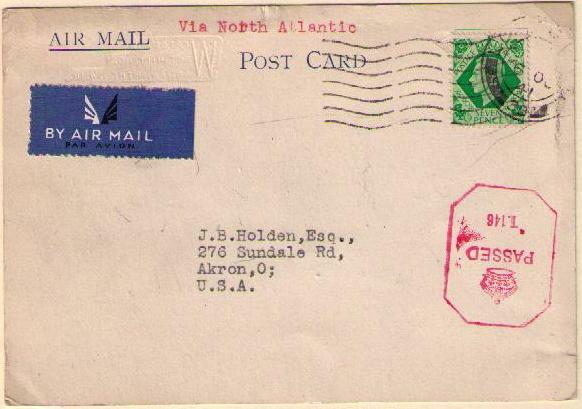 The prepaid rate of postage for letters to the United States was 1 1/2d. 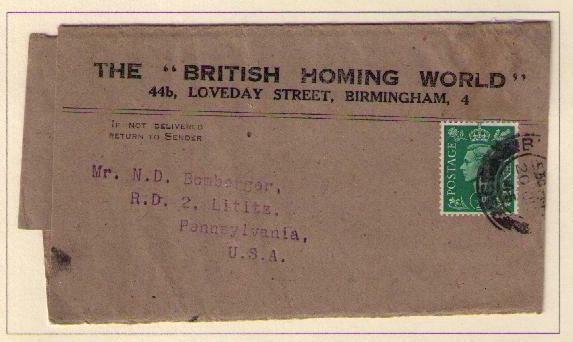 for the first ounce and 1d. 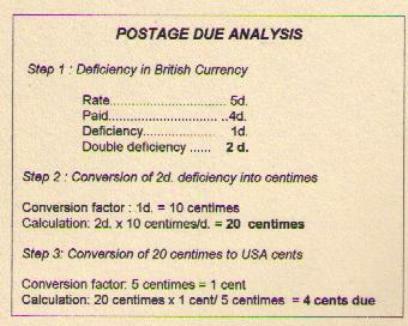 for each additional ounce. From 1913 to 1966, personal mail from State Department employees could be sent to Washington in diplomatic pouches for posting in the U.S. domestic mail stream. 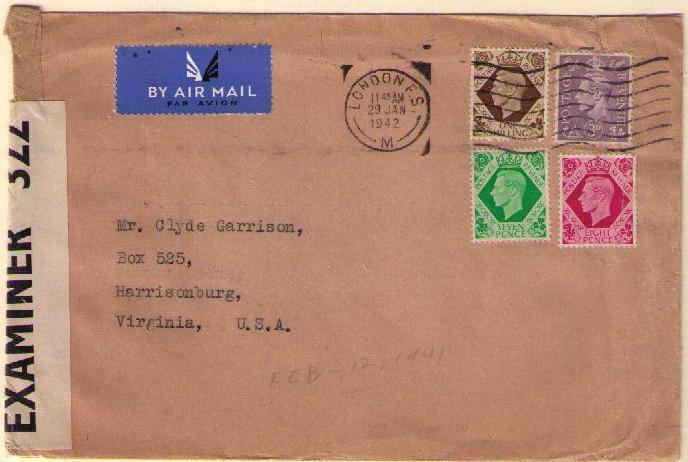 The State Department rules required that the letters bear postage stamps of the nations where the letters originated. 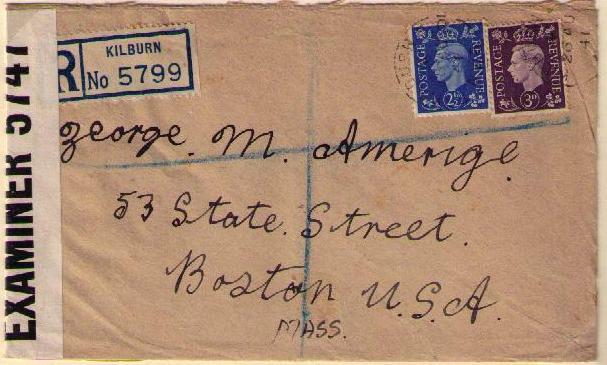 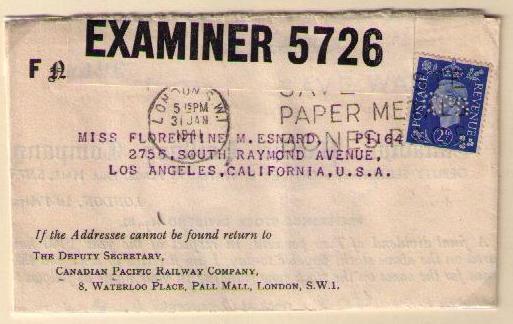 Handstamps were applied to diplomatic pouch mail to alert post offices not to charge postage due on these letters. 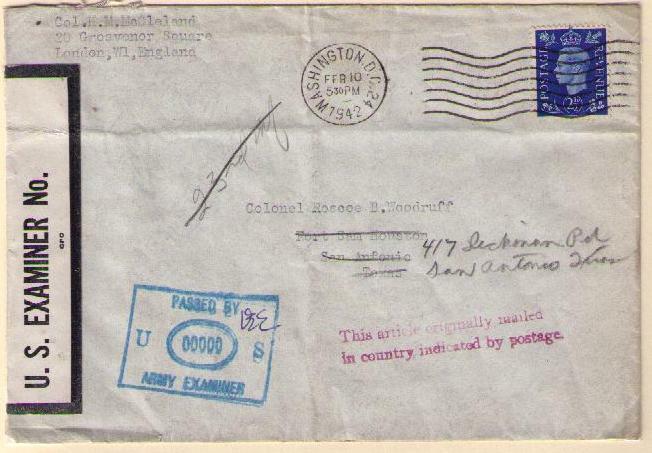 The Washington post office cancelled the envelopes with the foreign stamps. 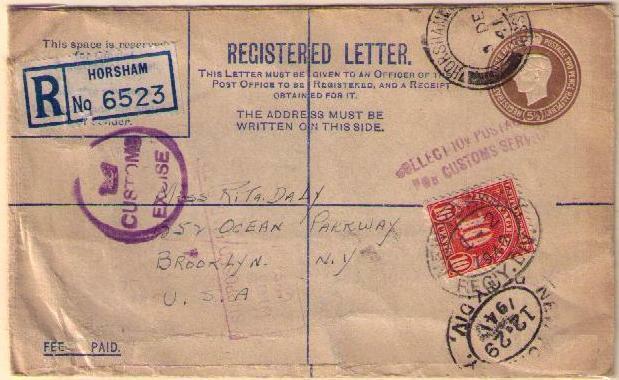 "Passed Free U.S. Customs Boston, Mass." 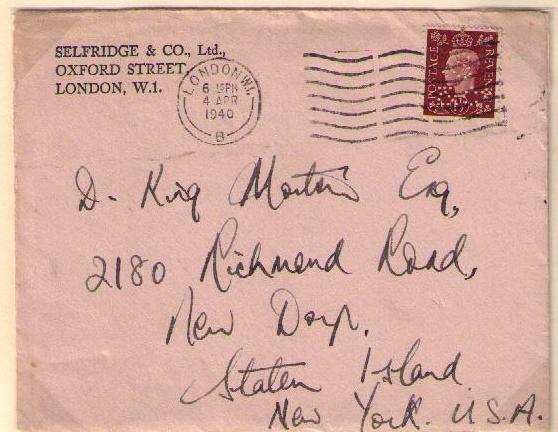 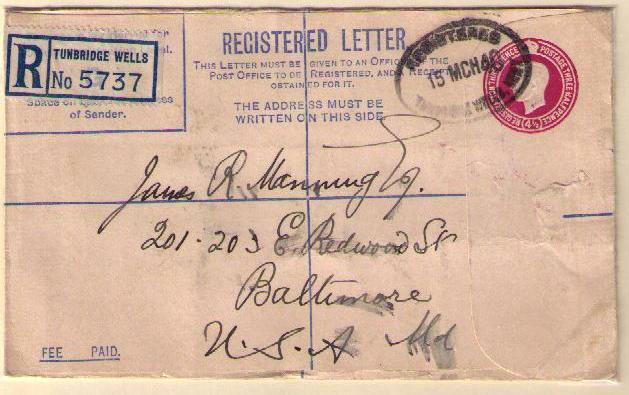 The prepaid rate of postage for letters to the United States was increased to 2 1/2d. 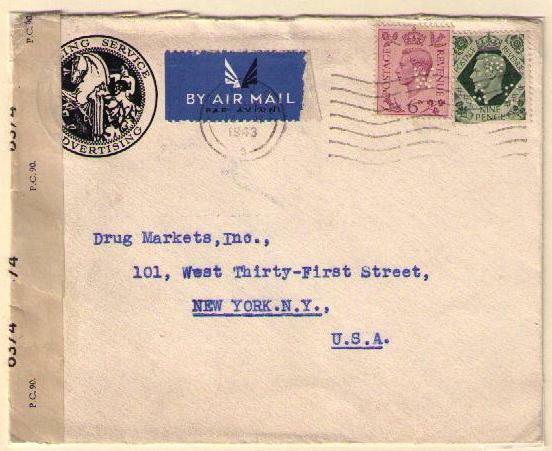 for the first ounce and 1d. 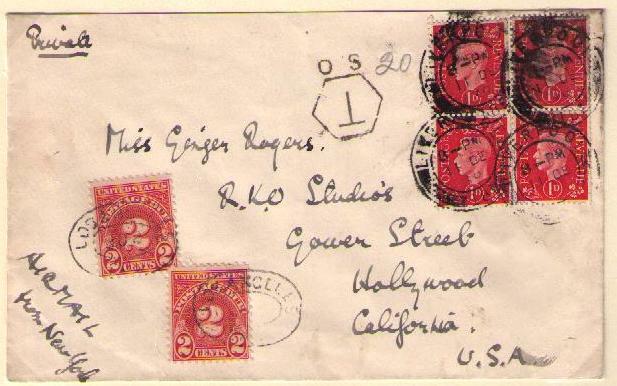 for each additional ounce. 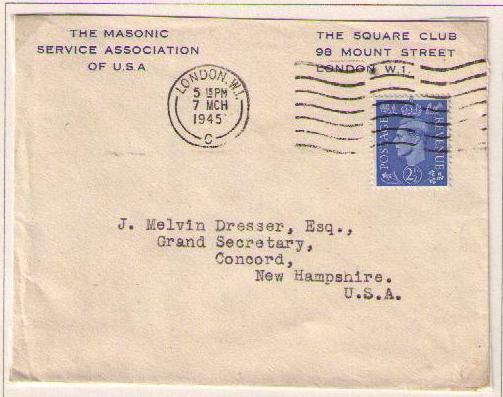 The Masonic Service Association of U.S.A. 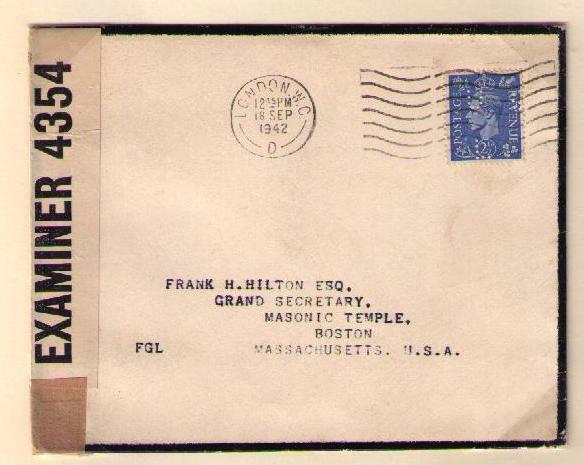 The Masonic Service Center opened in London, October 11, 1943. The center was a "home away from home", a way to build morale and good will and to perform special services for Masons and their families. 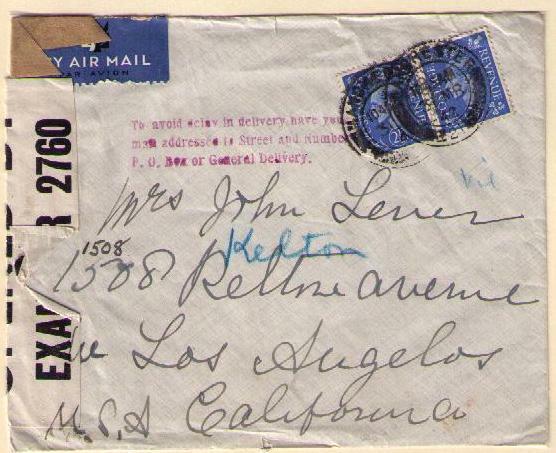 The prepaid post card rate to the United States was 1d. 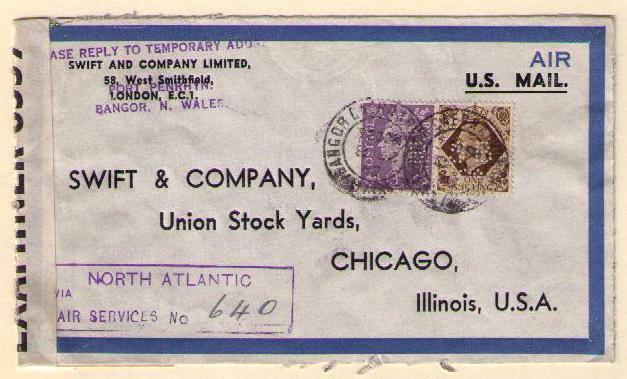 The prepaid post card rate to the United States was increased to 2d. 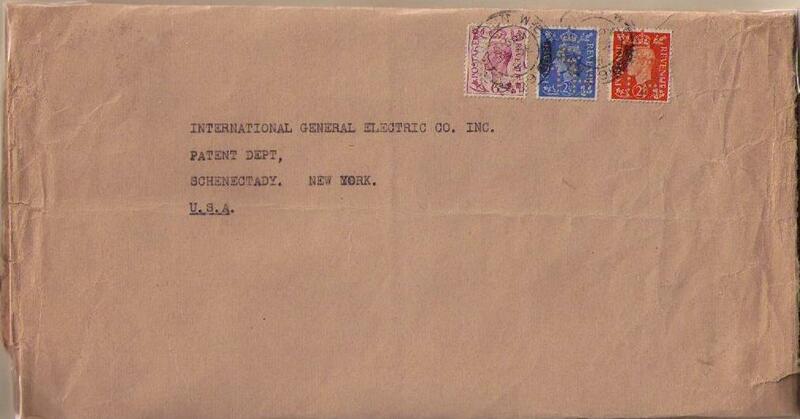 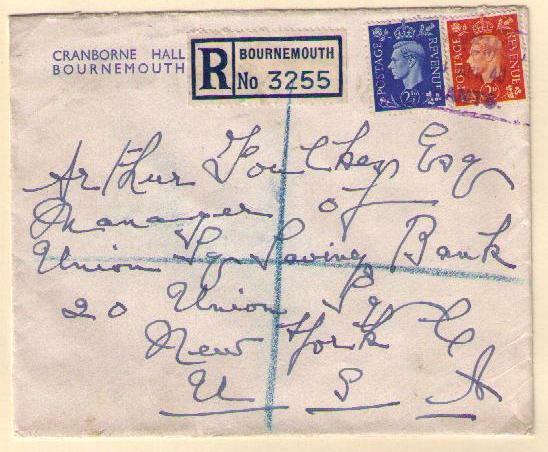 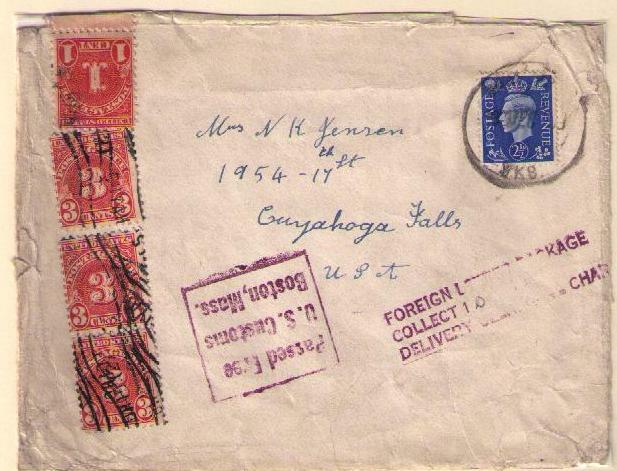 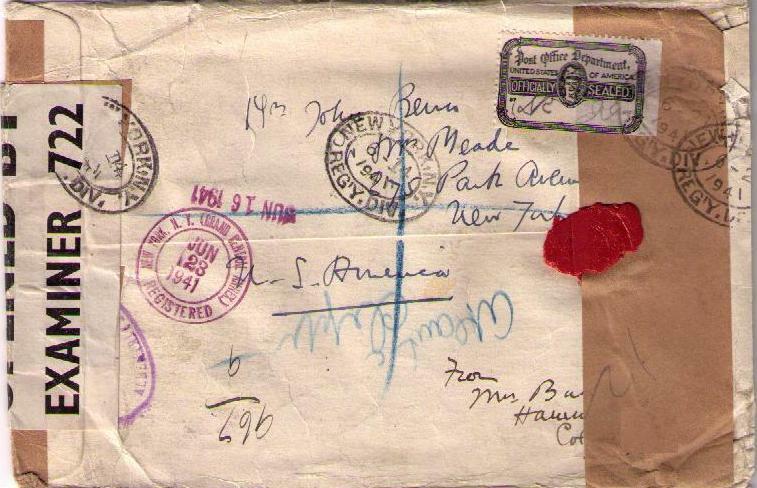 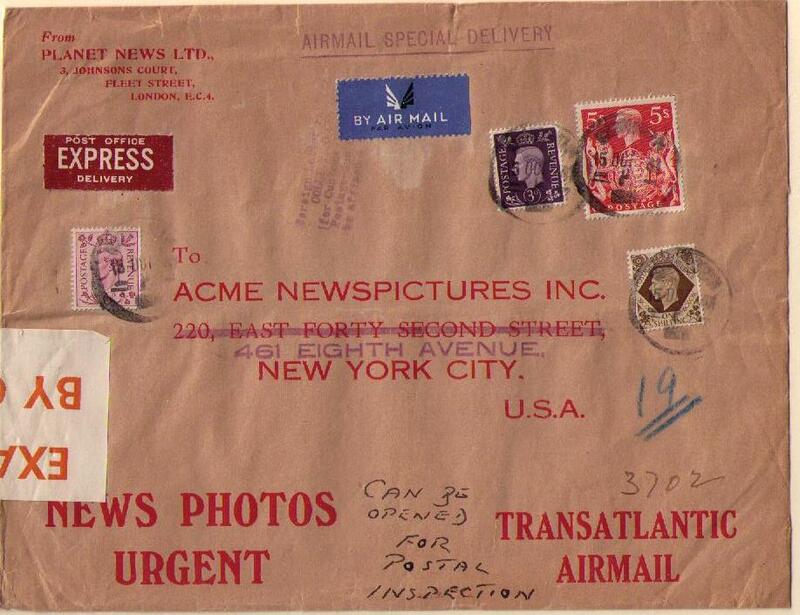 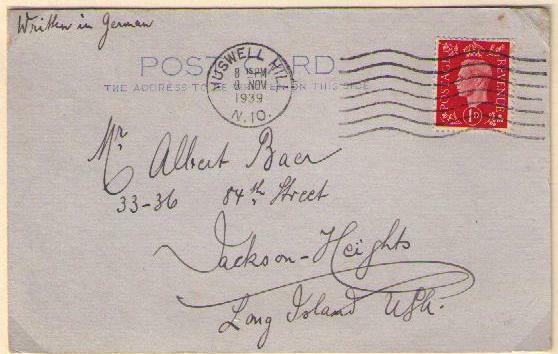 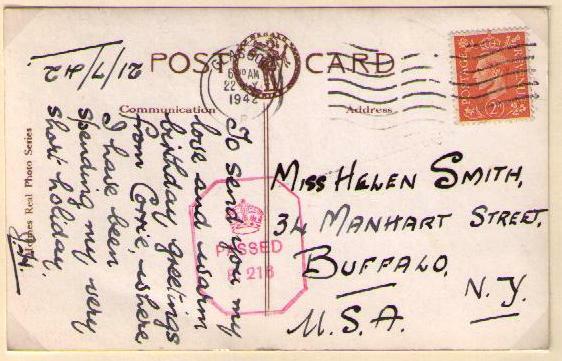 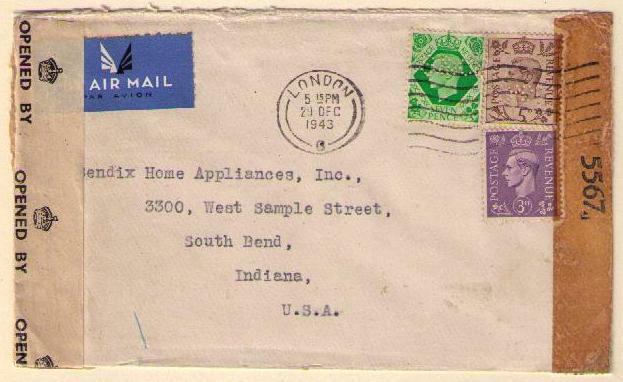 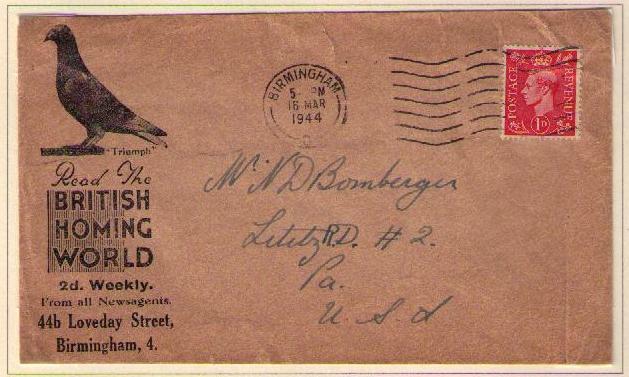 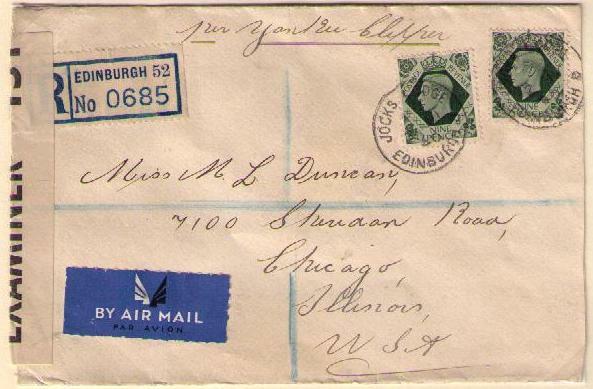 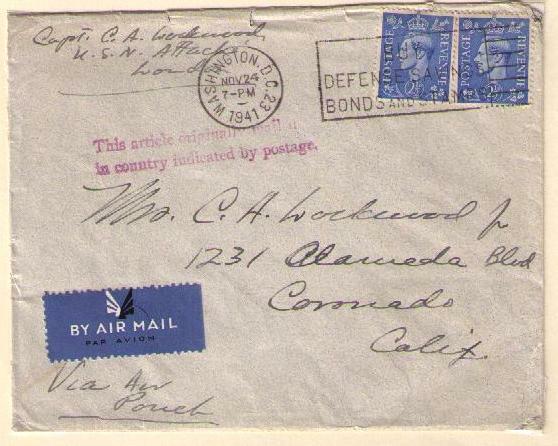 Air mail service was available to the United States on payment of special postage rates. Sea to New York then by air. 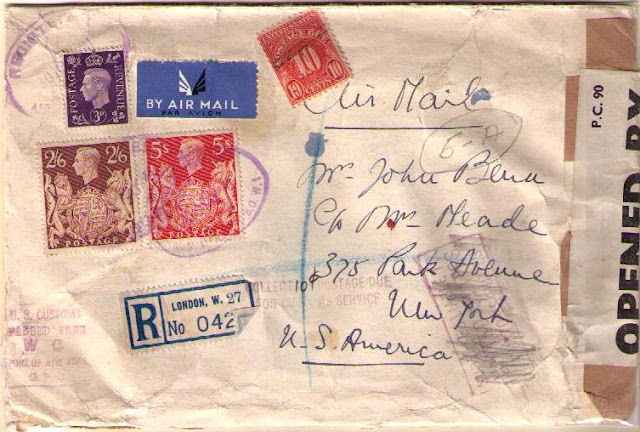 All three designs of the low value definitives used on this cover. 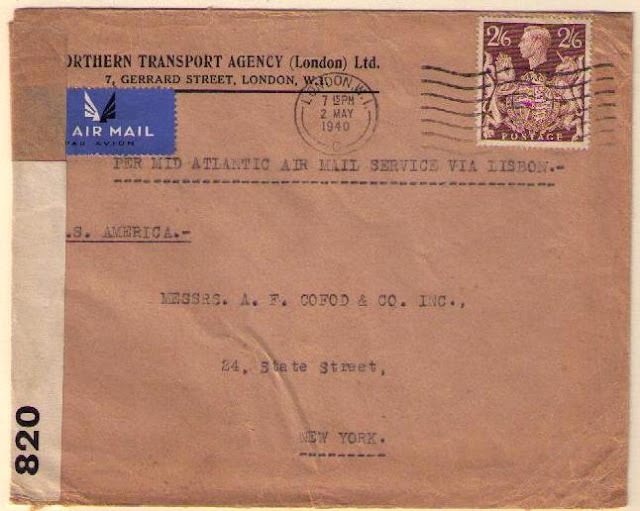 "PER MID-ATLANTIC AIR MAIL SERVICE VIA LISBON"